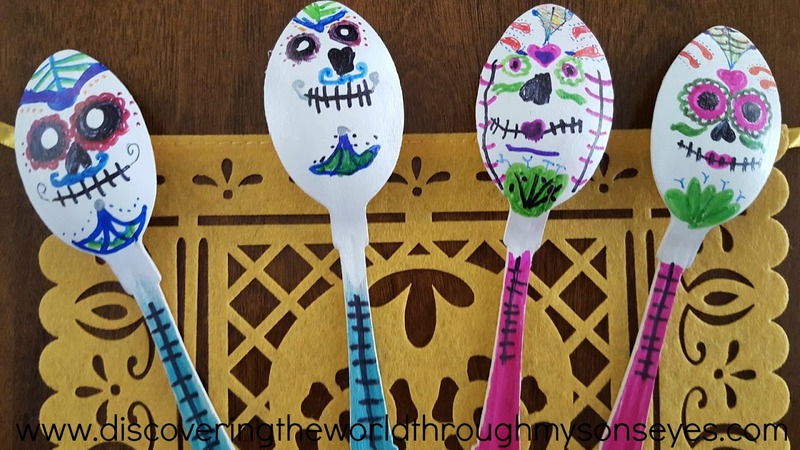 This is a super easy craft to do with kids of any age. 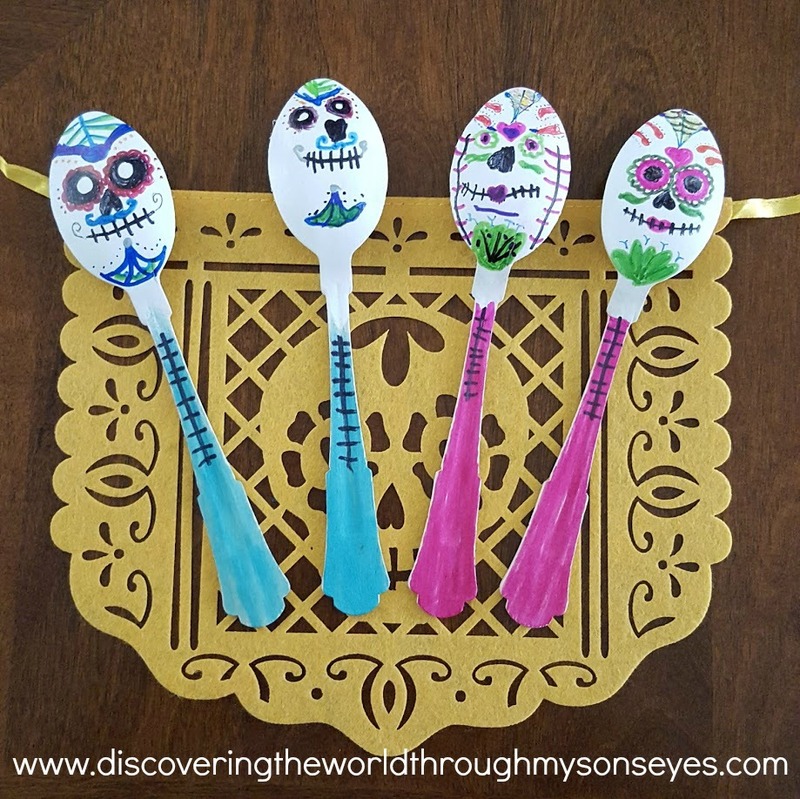 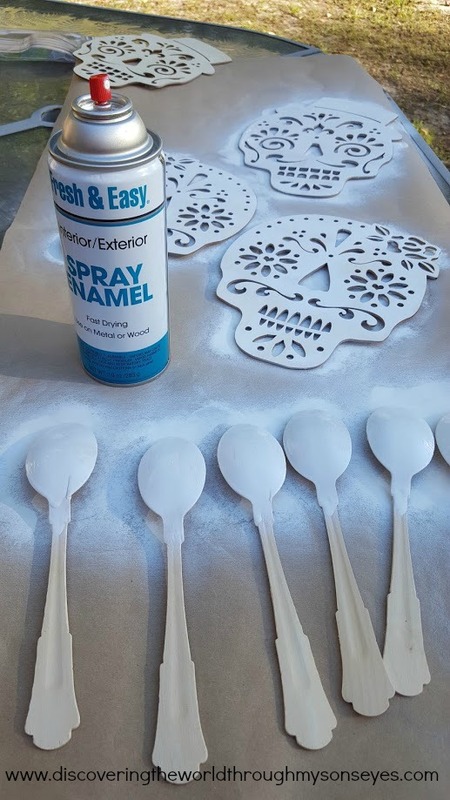 All you need are some wooden spoons, skull wooden cut-outs and white spray paint (Note to self: use white paint instead or matte spray), and permanent markers. 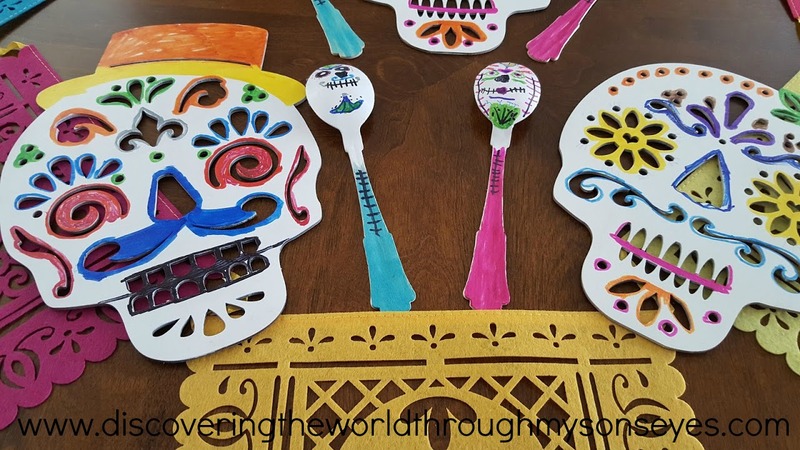 Once the paint is fully dry grab your markers and let the kids decorate to their hearts content. 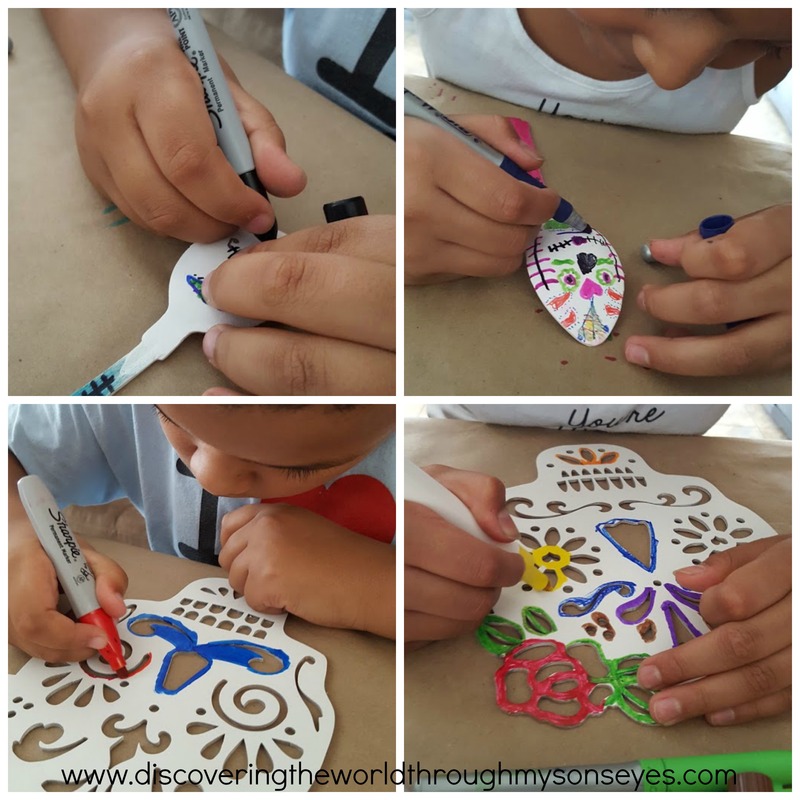 The results are beautiful and shows the kids creativity. 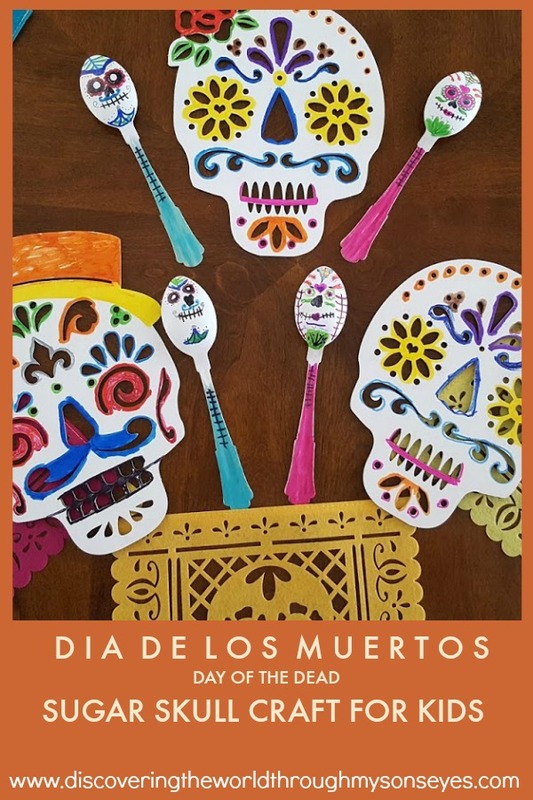 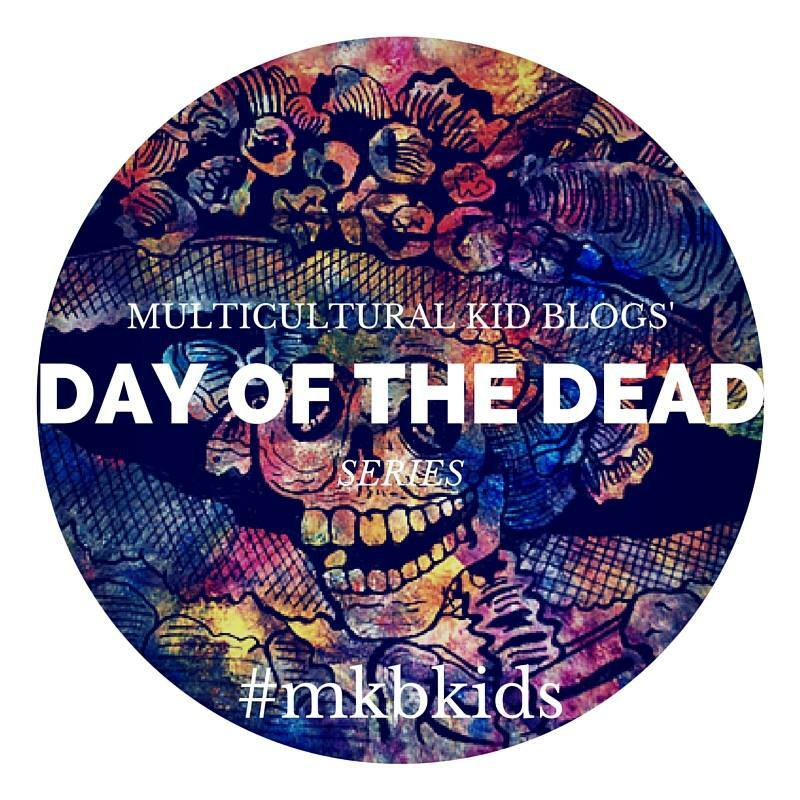 Want to learn more about Day of the Dead?